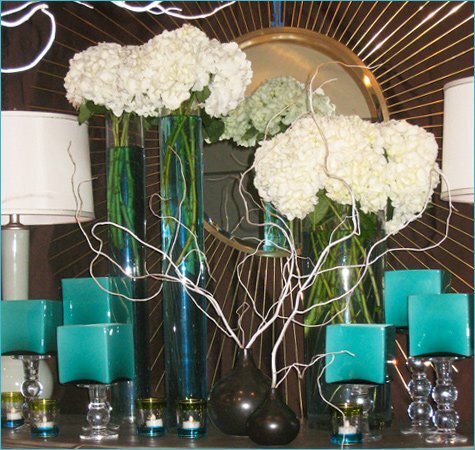 • A few drops of dye in the water of a clear vase adds a pretty aqua detail to a simple arrangement. 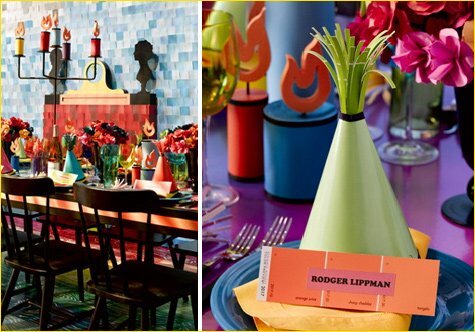 • Colorful square vases are elevated to new heights when stacked on top of candlesticks in varying lengths. 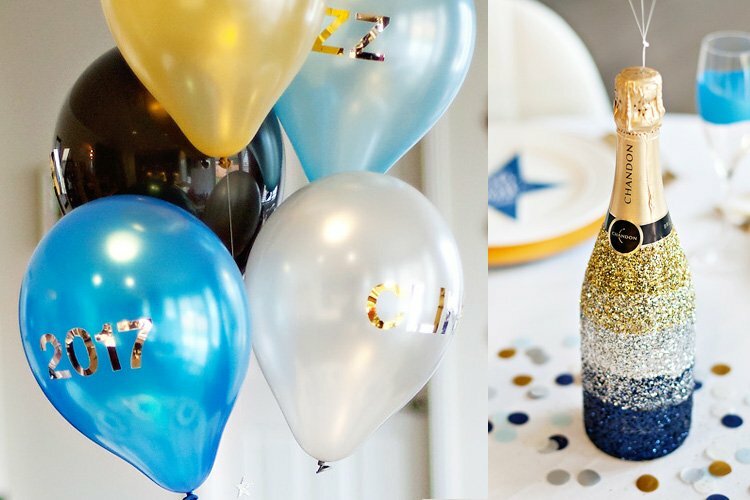 Secure vases with a bit of hot glue (which can later be removed), and add tea lights for a glamorous glow. • Peacock feathers would be a nice compliment to this tabletop design. 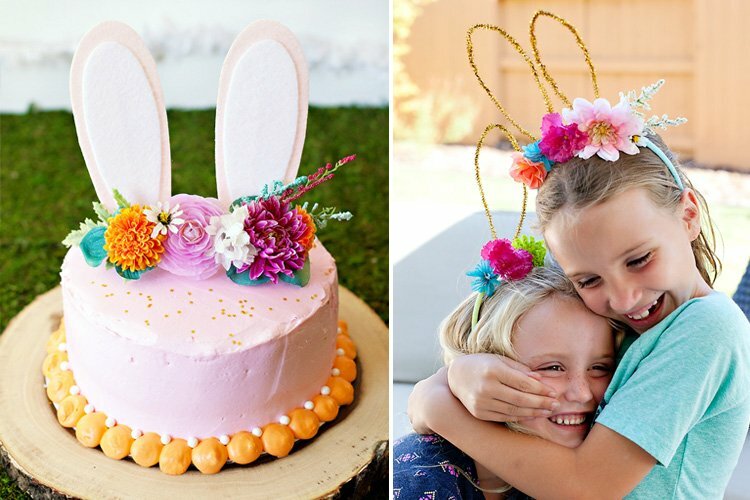 Use them as floral accents, and tucked into folded napkins. This festive silver & white design looked so beautiful in person, yet seemed very easy to recreate. 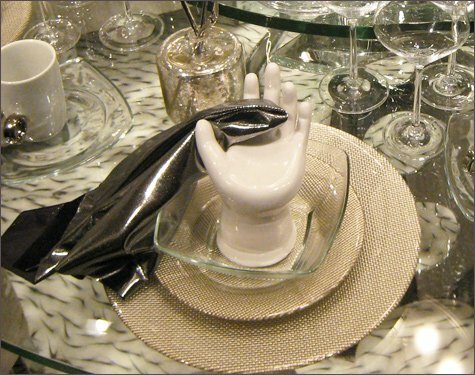 Stick with all white dinnerware, lots of clear glass, simple silverware, and mirror & crystal accents. 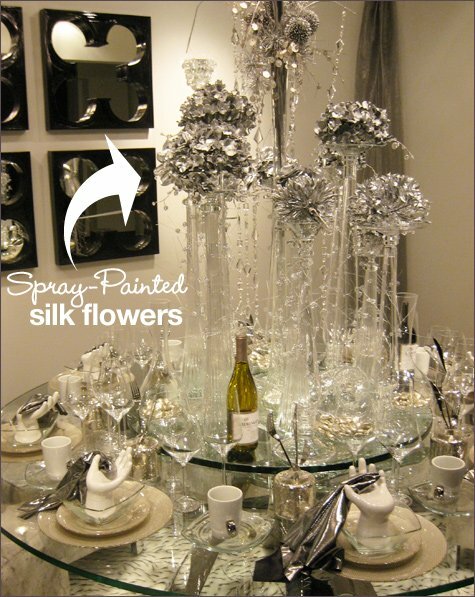 • For an interesting & inexpensive centerpiece, spray-paint different silk flower bunches in silver and group them together in tall, skinny vases. 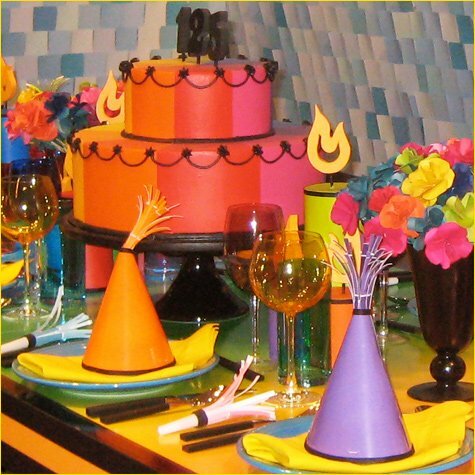 • Set silverware in a short vase with a small opening at each table setting— it’s fun & unexpected! 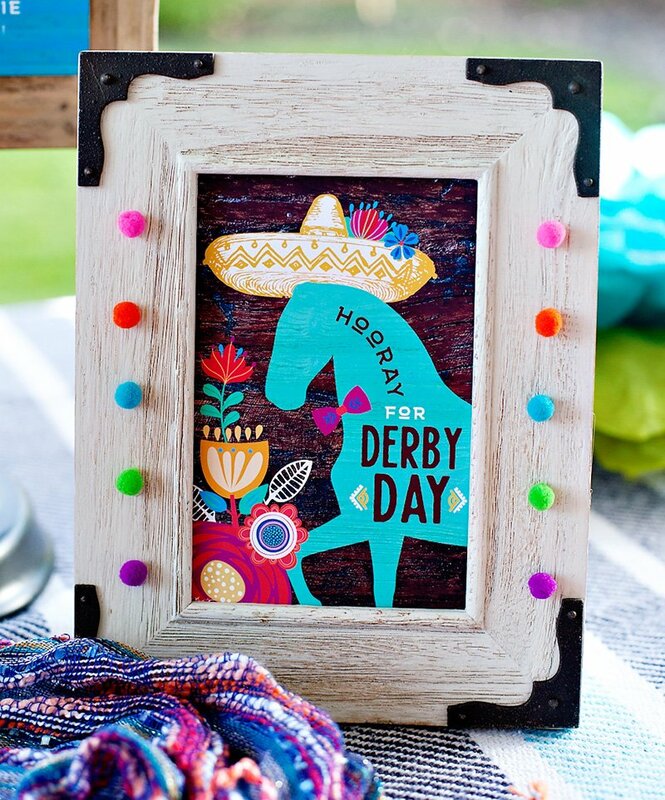 Take a close look at this colorful, fun design for a Kids’ Party… It’s created almost entirely out of paint chips! You know those little swatches of paint you get at your hardware store? 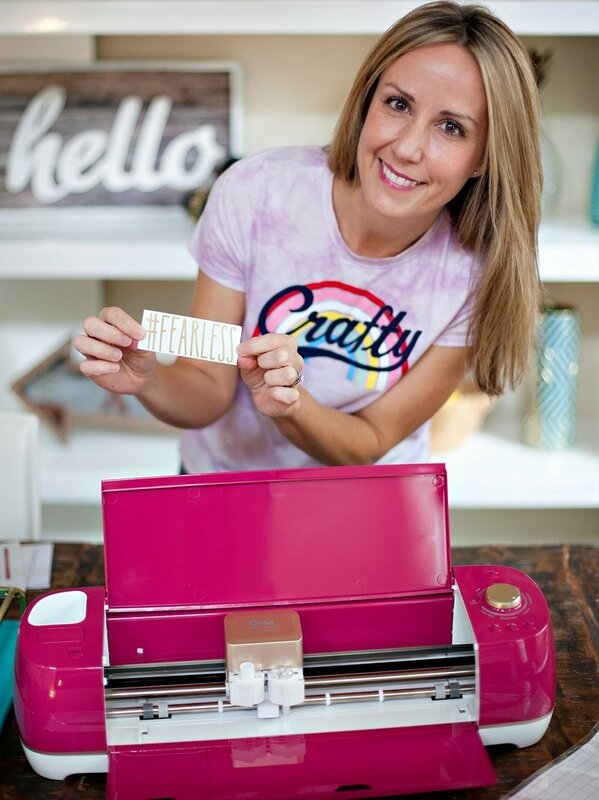 Well, this design is created by Benjamin Moore paint and it was truly incredible! 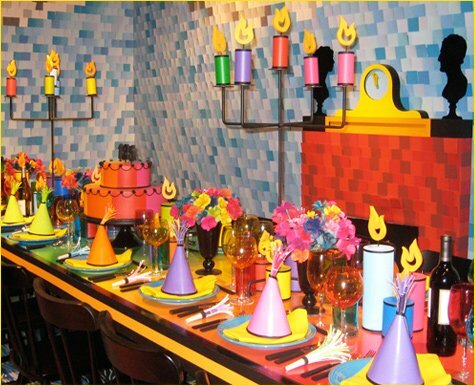 The walls, the cake centerpiece, even the fringe on the party hats are all made out of paint chips! 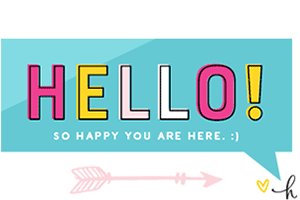 That concludes Part 1 of our DBD recap… hope you’re feeling inspired so far! Tune in this Friday for more ideas with Part 2! Wow! 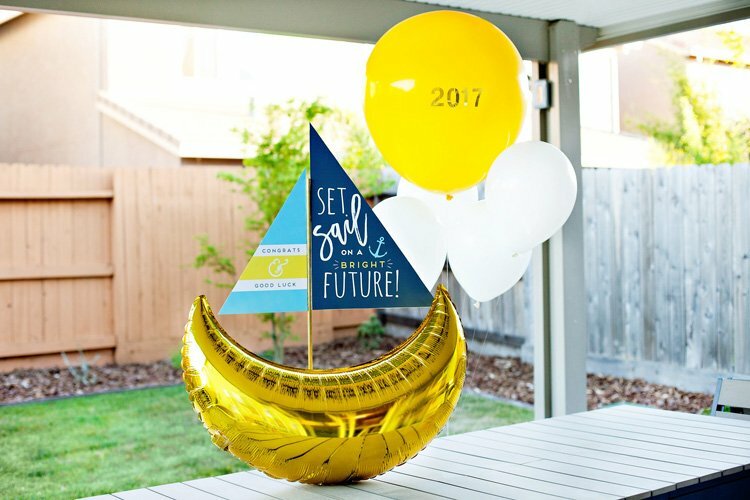 What a neat idea to use paint chips! These are all stunning. Love, it Jen and Jenn. I’m feeling it. I agree – the kids table is AMAZING!! Thanks for sharing. 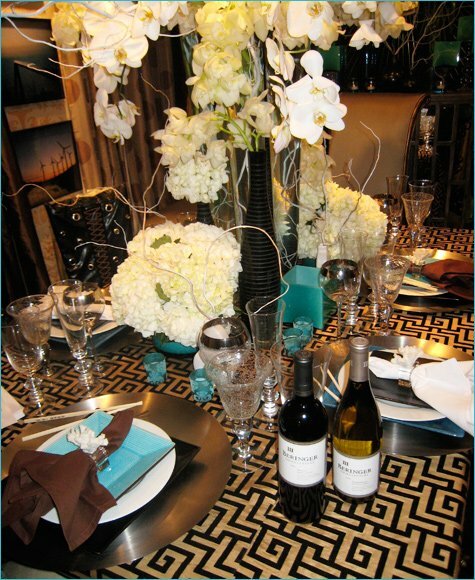 I love Dining by Design’s events. Do you know who designed the table in Look 1? The look in table 1 was designed by Paul Bott, and event planner: http://www.paulbott.com. It was one of my favorite designs from the event!